Look, zombies were scary last year – but as this is being typed a rebooted Thatcher is taking charge of the UK whilst a warmongering corporate shill vies for the US top job with a lunatic right wing TV host and serial bankrupt. Zombies, my friends, would be a blessing. 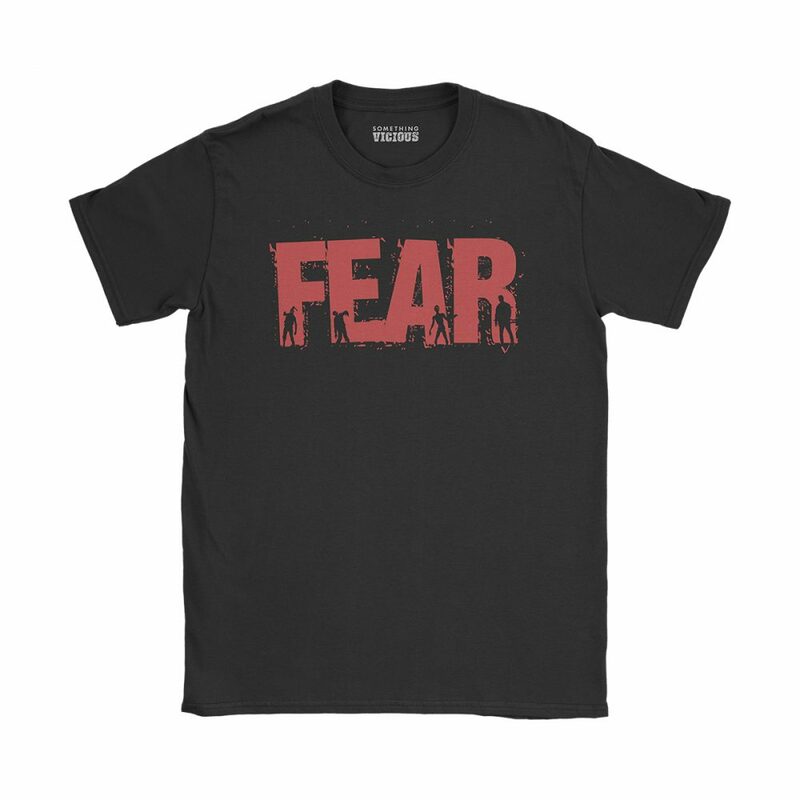 This exclusive T-shirt design, inspired by AMC’s Fear The Walking Dead, is printed direct-to-garment using the highest quality ink onto the very best quality soft organic cotton tees. Designed to fit snugly and comfortably, these high quality garments will keep your body looking hilarious for years to come.